This is a HOT one! 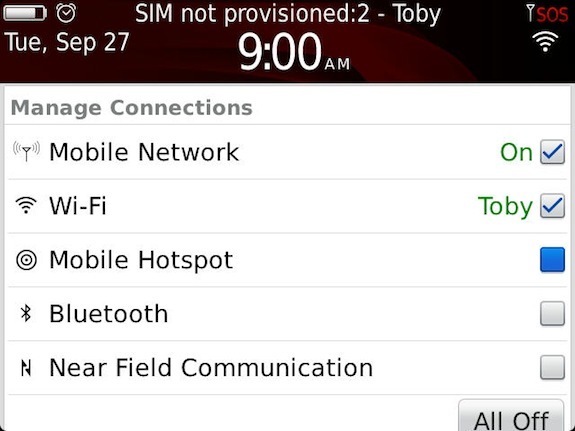 OS 7.0.1.74 for the BlackBerry Bold 9900 has turned up and it looks like this version includes Wifi Hotspot! I'm downloading and getting ready to install as I write this, so if you do get the chance to fire it up, be sure to report back here with your findings or swing by the forums to let us know what you find. It looks like Mobile Hotspot Mode is enabled in this build as well as Emergency Alert Messages. As always, use caution when installing a new OS on your device. Thanks Rais!